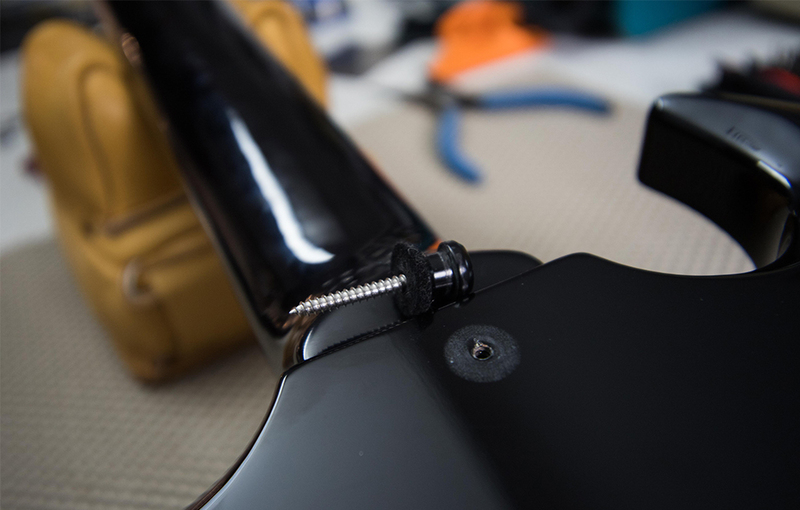 If you play electric guitar standing up anywhere outside the comfort of your own home and move around more than two feet in any direction while playing, you need strap locks. They’re one of the most inexpensive guitar accessories and can prevent a ton of damage while gigging. 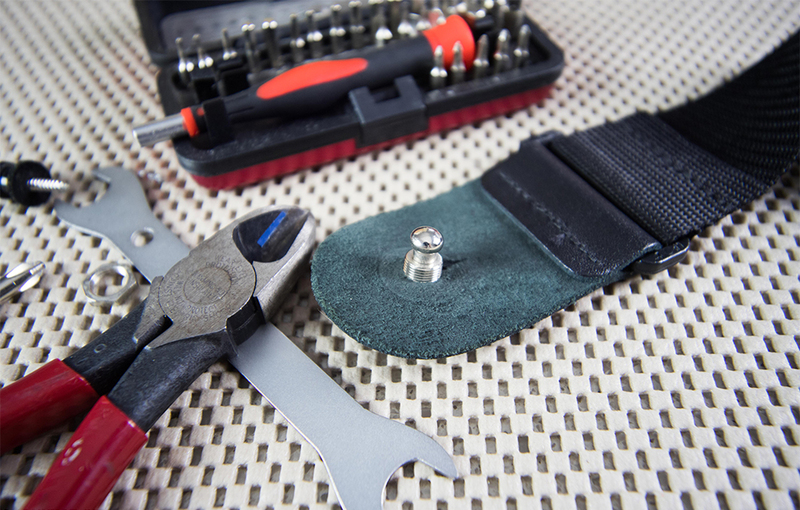 Strap locks are usually a male/female latch or clip system, with one end connected to the body and the other to the strap. 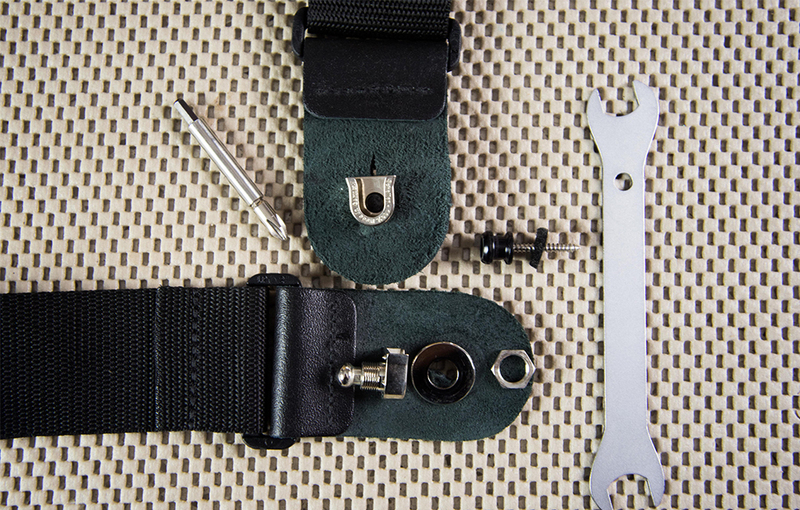 Rather than fastening the strap directly to a button bolted into the guitar’s body, the strap is fastened to one end of a clip that secures to a specific type of corresponding strap button. 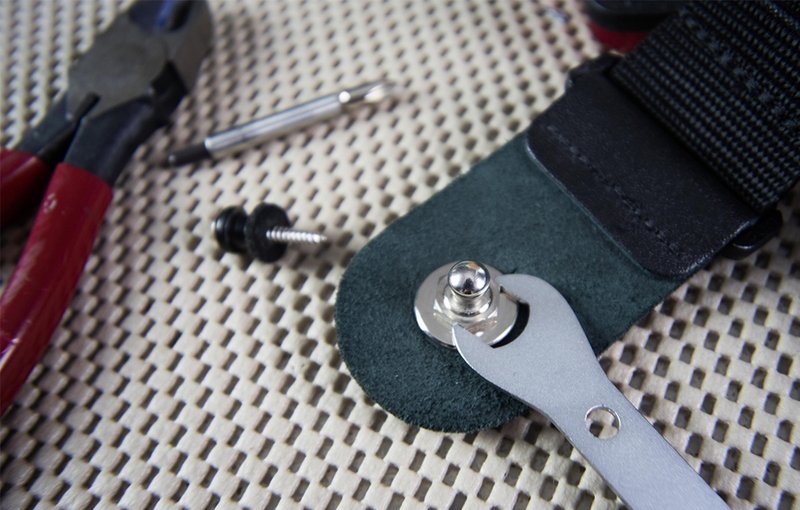 When installing the new strap button, it helps to thinly coat the new (usually larger) screw’s thread in wax. Screws in high-stress areas can cause cracks if you’re not careful. Once the buttons are installed (and provided the latch stays fastened), the strap isn’t coming off the guitar at all. This makes walking on and offstage with your guitar a lot easier, especially if you need both hands to carry something.